Sen. Patrick Leahy (D-Vt.) plans to launch his first television advertisements of his reelection campaign Tuesday, according to records filed Monday with the Federal Communications Commission. Leahy spokesman Jay Tilton confirmed the buy Monday but would not disclose its size. One order placed by the campaign indicates that the seven-term senator plans to spend $31,000 to air ads on Vermont's four broadcast television stations over the course of a week. That figure would not include cable and satellite television advertising. The move comes soon after Leahy's Republican opponent, Pomfret travel agency owner Scott Milne, held a formal campaign launch Saturday in Washington, Vt. Milne's Senate campaign has yet to buy any television advertising, but his business, Milne Travel, spent nearly $20,000 in August on ads featuring the candidate promoting his company, according to FCC records. 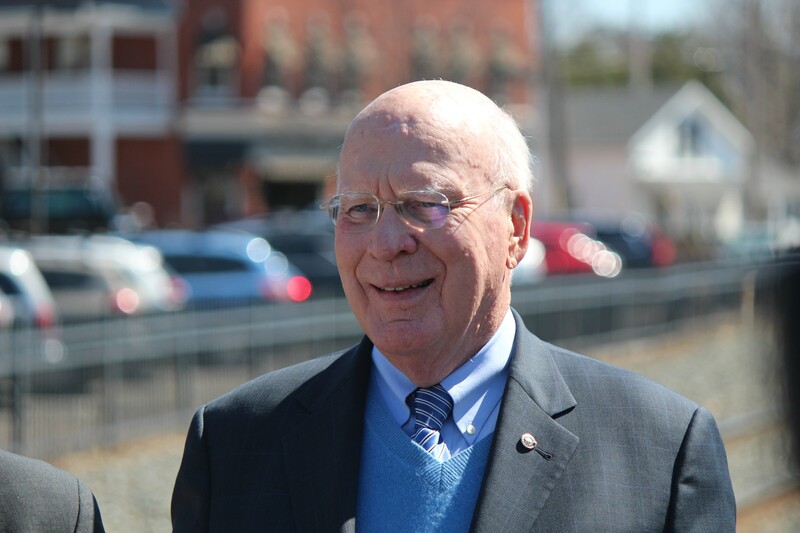 Leahy appears to be the first candidate in Vermont to run TV ads during the general election. (See update below.) Five gubernatorial candidates and one lieutenant gubernatorial candidate ran ads before the August primary election, but none have since then. Super PACs affiliated with the Democratic Governors Association and Republican Governors Association are currently airing ads backing gubernatorial nominees Sue Minter and Phil Scott, respectively. According to Tilton, Leahy's ad debut "is hardly early." "I would even guess that Sen. Leahy is probably one of the last Senate candidates in the country to begin televised ads for this fall's election," he said. Tilton declined to reveal the nature of the ads, saying he did not want to "ruin the surprise," but he said they would be "positive, issue-oriented and focus on Sen. Leahy's work for Vermonters in the U.S. Senate." There has been little polling of the race, which few view as competitive. One poll released last week by the Emerson College Polling Society showed Leahy leading Milne 57 to 34 percent. The incumbent Democrat was viewed favorably by 64 percent of those surveyed and unfavorably by 28 percent. The Republican challenger was viewed favorably by 29 percent and unfavorably by 33 percent, according to the Emerson poll. Updated below September 13, 2016 at 8:48 a.m.
Minter joined Leahy in launching general-election television advertisements Tuesday. Her new ad focuses on her work as Tropical Storm Irene recovery officer and promotes her efforts to respond to climate change and make education more affordable. The Minter campaign did not immediately disclose the size of the ad buy. But according to records filed with the FCC, she is spending $33,308 to run the ads for a week. Updated below September 13, 2016 at 7:32 p.m.